For most people, it's the happiest time of the year. It's a time when people are friendlier, kinder, more generous and magnanimous. It's when the Christmas spirit almost makes the age-old wish for 'peace on earth, goodwill among men' seem truly possible. Everywhere you go you can see stunning, jaw-dropping displays of Christmas lighting that helps to kick your Christmas spirits into high gear. Homeowners in neighborhoods across the land - ranging from the humblest homes to the most magnificent mansions - pull out the stops in adorning their homesteads in holiday finery. And businesses, large and small, invest many a dollar in making certain that they attract their fair share of holiday sightseers and shoppers. Lots of money and lots of work goes into designing, installing and maintaining the millions upon millions of Christmas displays every year. And who is it that does all that work? For some homeowners, installing holiday lighting is a do-it-yourself project. They derive both fun and satisfaction from designing and installing their own light displays. But for many others - not so much. 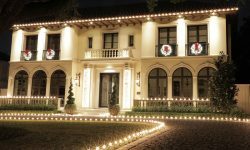 Lots of homeowners prefer to hire a professional Christmas lighting installer. And the same holds true for most businesses. They prefer to leave the ladder-climbing, light-stringing, display-designing chores to someone who knows what they're doing. They prefer to hire a Christmas lighting professional. If they can find one. Because the truth is that Christmas lighting professionals are in high-demand. 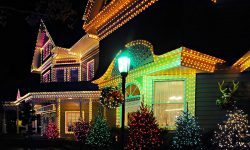 Even during the recent recession-ridden years, the demand for Christmas light installation services has consistently exceeded the supply. And it's a demand that continues to grow, year after year. Why is there such an imbalance of need vs. supply? Perhaps it's because of the seasonal nature of the business. It might be a common misperception that there's not a significant amount of money to be made from a business that operates only during a relatively brief window every year. Or it may be that most people believe that Christmas displays are predominantly do-it-yourself projects. 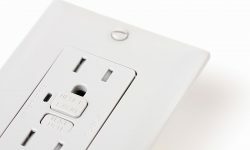 They may simply be unaware that businesses and homeowners fork out millions of dollars every year to lighting installation professionals. These days, lots of people are looking for ideas for starting their own businesses. Massive corporate layoffs, outsourcing, downsizing and the rough economy have combined to create a longing in many for greater control of their economic destiny. And most everyone dreams of being their own boss. High Demand. As noted above, there's quite an imbalance of demand vs. supply. Among established installation businesses, deciding which jobs to turn down because of the huge demand is more of an issue than finding work. Customer Loyalty. A side benefit of the high demand for installation services is customer loyalty. The customer retention rate for this business is an astounding 90% on average. Do a good job for a client, and they'll likely remain your client for many years. The high retention rate helps to assure a stable residual income year after year. No PhD Required. Certainly, you'll need to learn some tips and techniques of the trade. You'll need to educate yourself a bit before you go on that first job. But let's face it: this isn't exactly rocket science. You don't need a degree or years of experience as an apprentice to be qualified to run an installation business. You can quickly learn what you need to know to get started. Low Startup Costs. Unlike many businesses, the startup costs for establishing a lighting installation business are very low. You'll need a vehicle - preferably a pick-up truck - for carrying tools and supplies to the job. You'll need some ladders and some basic tools. And you'll need a limited initial inventory of supplies. That's it. Are YOU a Good Candidate For This Business? Not all businesses are suitable for all people. And the same is true of a Christmas light installation business. It's not for everyone. But is it for you? If you tend to have some time available during and just after the Christmas season, it just might be. Retirees, stay-at-home moms, students (some students pay for their entire college education just working seasonally as an installation professional), and people who simply don't wish to work full-time year round are great candidates for this business. For certain established businesses, adding a Christmas light installation division can be a great move. Lawn maintenance and landscaping professionals, for example, tend to be slow during late fall and winter. In many locales, the same is true for painting professionals. For businesses that are traditionally slow during fall and winter months, offering professional lighting installation services can help to even cash flow and significantly boost the bottom-line. And of course, to be successful as a lighting installation professional, you'll need to be comfortable working outside in potentially cold weather. And you'll also need to be physically capable of climbing ladders and clambering onto rooftops. If you're like most people, Christmas is already the happiest time of the year for you. But if you're looking for a be-your-own-boss business opportunity, your love of Christmas might be about to climb to a whole new level. After all, you're accustomed to the cash flowing away from you every Christmas season. Wouldn't it be nice to upset that trend and have the cash flowing toward you instead? 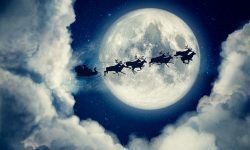 Intrigued about the potential opportunity represented by starting a Christmas lighting business? Would you like to learn how to begin your own business? A great starting place would be our ebook: Starting Your Own Christmas Lighting & Decorating Business. The book is based upon our experiences gained over more than 35 years in the Christmas decorating business. This book is so complete and detailed that it can serve as a complete road map, guiding you from where you are to where you want to be: running your own successful Christmas decorating business. For additional information you might also want to visit PlanetChristmas.com. It's a good resource for nuts-and-bolts information about installing Christmas décor, and there's also a forum that can serve as a helpful source of information. 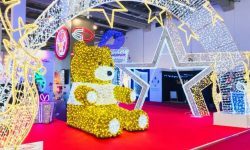 And there are a number of franchise opportunities available for starting a Christmas business, though these opportunities typically require quite a large upfront investment. We'd recommend learning more about the industry through our book before committing yourself to such an investment. You should know that many successful Christmas businesses have been started without going through a franchiser. As we mentioned above, the potentially low startup costs attract many people to the business. Our book will teach you how to start a business on a minimal budget while avoiding franchising fees, if you want to keep startup costs low. 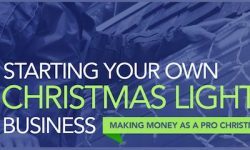 If starting a Christmas lighting business seems like an opportunity that's right for you, there's no better time to get started. After all, Christmas will soon be here. And lots of Christmas Enthusiasts will need help getting their lights installed. You could be the resource they turn to!